This two day Activity First Aid Course covers a range of skills that are useful for those involved in sports, outdoor activities, uniformed organisations (such as cadets, scouts or guides) or expedition leaders, including for the Duke of Edinburgh Award. This course covers life-saving skills, along with the treatment of a range of injuries and illnesses likely to occur during active tasks, such as management of fractures and asthma. Whilst this course covers a great deal, if you are in need of a workplace course, then we'd recommend our 3 Day First Aid at Work course that covers the full range of first aid skills required by first aiders and enables your organisation to comply with statutory Health & Safety (First Aid) Regulations. When you come to the course, please bring one form of photographic ID, a packed lunch and a pen and paper. This course is assessed through ongoing trainer assessment, 6 practical skills tests and two short multiple choice tests. On successful completion of this course you will be awarded you will be awarded an Activity First Aid certificate, which is valid for 3 years. For a small additional fee we can add 'bolt on' modules to your course, such as use of a defibrillator or management of severe allergic reactions. Please contact us to find out more about these options. 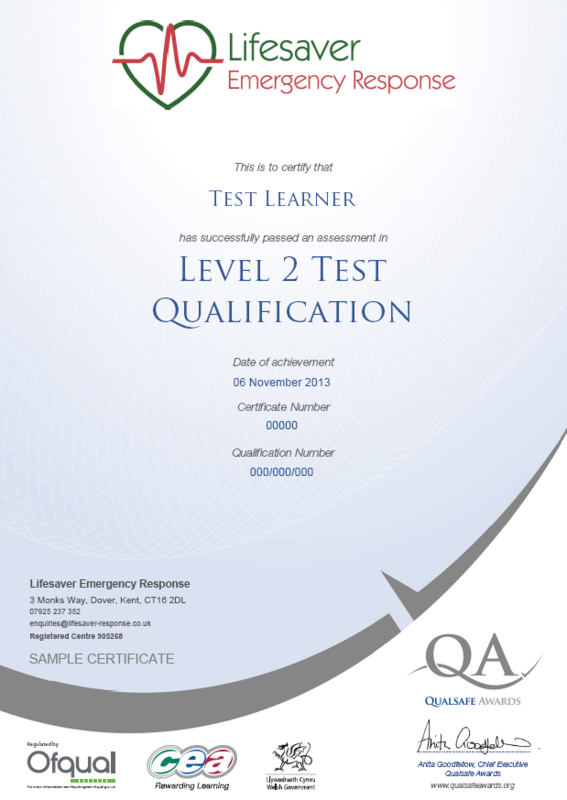 The HSE strongly recommended annual refresher courses to maintain your skill level.